Apparently HTC wanted to coincide with the release of the Samsung Focus 2 on this one. HTC has dropped the price of the HTC Titan II through AT&T, a $50 price cut to be exact. Now, the HTC Titan II is available through AT&T for $149.99 with new two year contract, and $499.99 off contract. The HTC Titan II is best known for it’s 16MP rear camera and 4.7″ Super LCD display. 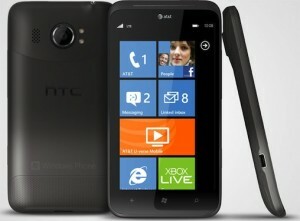 The HTC Titan II is also a 4G LTE Windows Phone, so that’s another great thing the rightly named Titan successor has to offer. Visit the AT&T HTC Titan II product page for more information and to purchase the new lower-priced 4G LTE Windows Phone.